This loophole hurt Rye taxpayers because it encouraged the development of high-turnover homes targeted toward heavy users of the RCSD while side-stepping assessments and school-taxes. 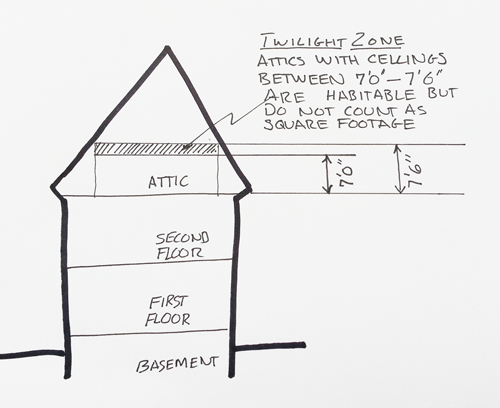 Closing this loophole resulted in more precise floor area and habitable space calculations, more accurate assessments, and less deception. 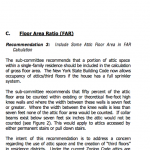 2003: City of Rye passed 7’6″ attic height law to match New York State residential code; attics with ceilings over 7’6″ were both habitable and counted in the square footage of the home; attics with ceilings less than 7’6″ were considered non-habitable storage space. 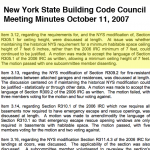 2007: New York State changed the attic height law to 7’0.” This change created a loophole. 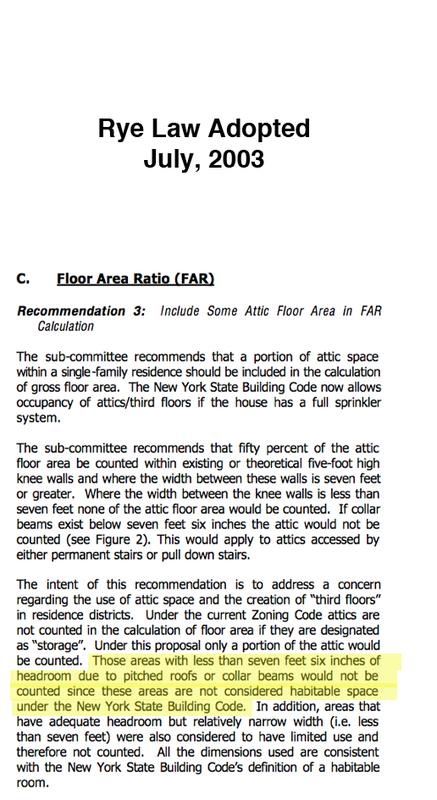 Since 2007, more than 150 homes took advantage of this loophole and added large third story living spaces. 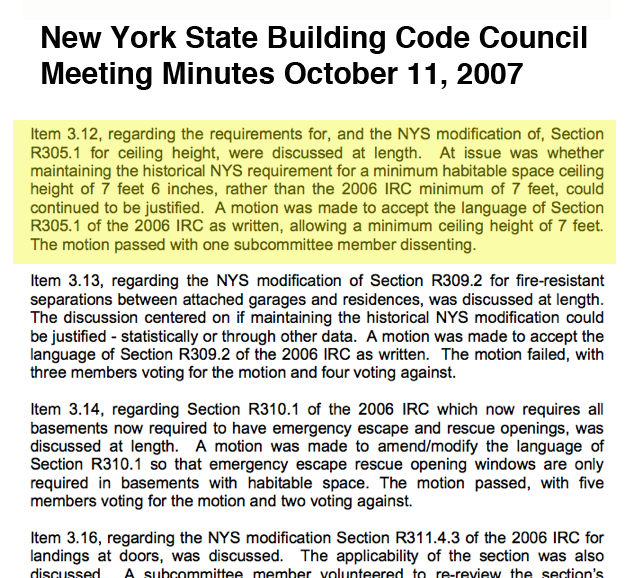 2013: City of Rye is in a zoning “Twilight Zone” where attics with ceilings between 7’0″ and 7’6″ are habitable according to New York State, but don’t count as square footage according to the City of Rye. This loophole hurts Rye taxpayers because it encourages the development of high-turnover homes targeted toward heavy users of the RCSD while side-stepping assessments and school-taxes. 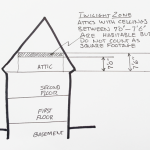 Closing this loophole will result in more precise floor area and habitable space calculations, more accurate assessments, and less deception.